The following photos are a shocking memorial and go straight to your heart. 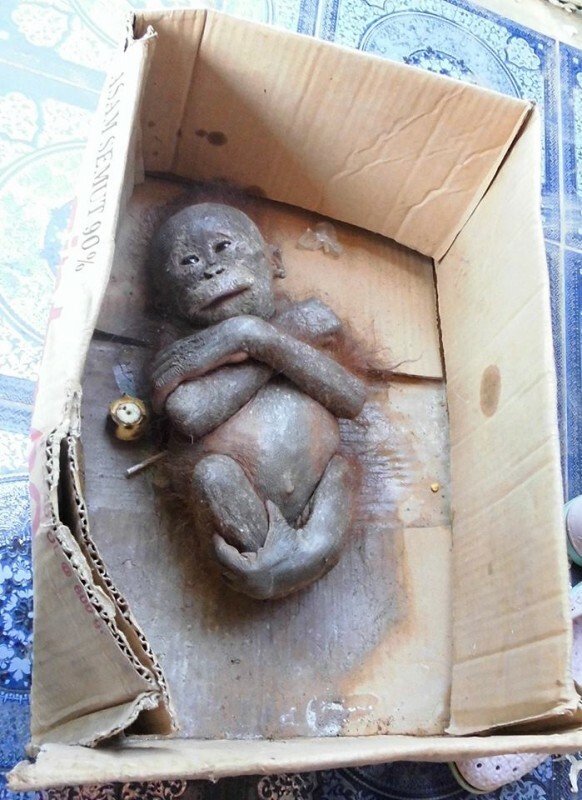 Employees of the animal protection organisation IAR (International Animal Rescue) in Borneo, found this small, half-"mummified" orangutan-baby in a cardboard box in a village. 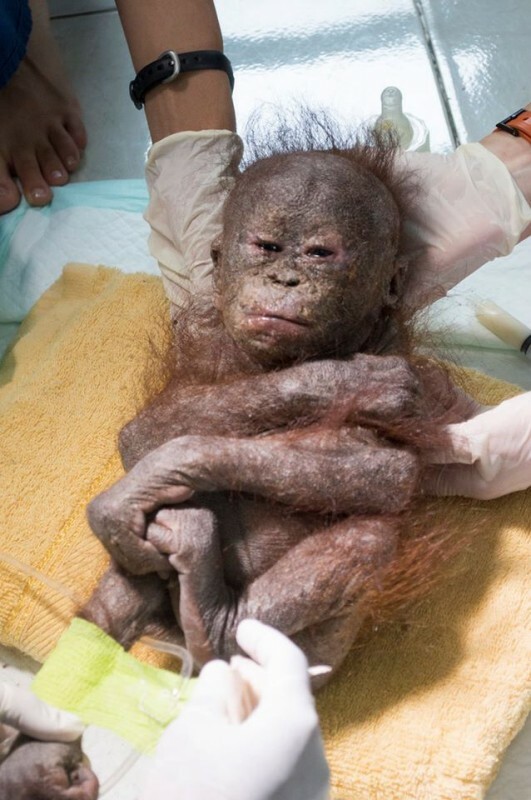 The animal protectors are appalled by the condition of the baby and their first thought is that the it is surely dead. But the emaciated, flea- and fly-covered baby stirs a little, and then it's clear: it's alive! The animal protectors name him Gito: "He is one of the most shocking cases of cruelty to animals and neglect, and even the toughest members of the team were shocked by the apes condition," says one of the rescuers. 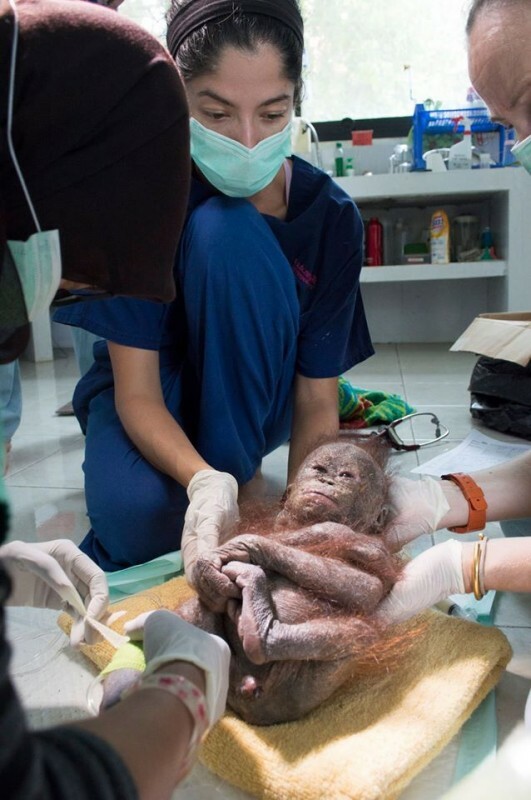 His mother was killed by poachers when he was just a newborn and the leader of a village in Borneo kept Gito as a "pet," after buying him for 20 dollars from the poacher who killed his mother. 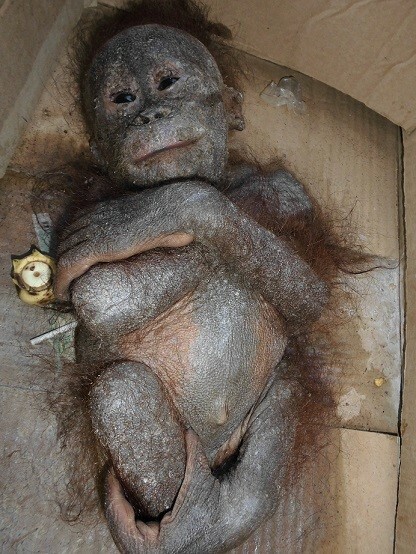 The animal-mothers in Borneo are often killed so that the next generation can be more easily sold. However, the village chiefs apparently had no interest in the little baby and he was therefore simply thrown into a box and left lying in the sun, with some milk beside him. 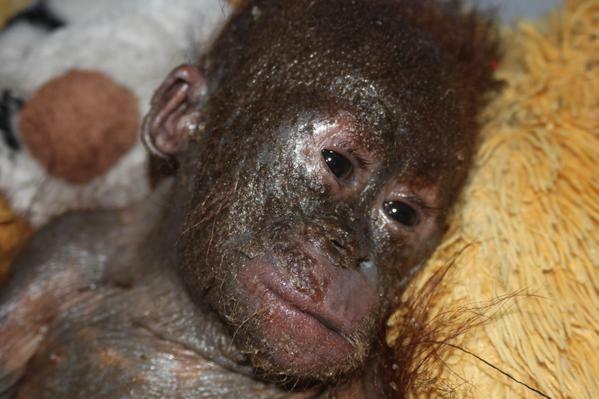 When the rescuers found him, Gito seemed so stiff from neglect, that he appeared more like a corpse that a living ape. He wrapped himself up to protect himself against the sun. His skin has been eaten almost completely bald by parasites and is pallid and grey. More dead than alive, the rescuer attempts to bring him back to life. But the path back is rough: It takes 9 hours to travel back to the animal clinic, and it often seems as though Gito will not survive the strenuous trip. 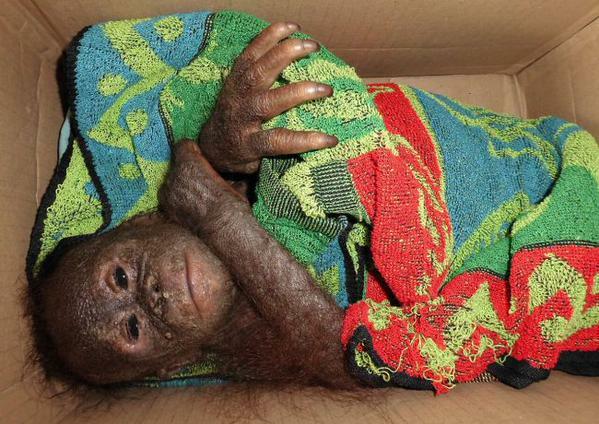 But the little ape is in luck: he survives and instantly undergoes a medical checkup. He is washed and tended with medicine. Finally, for the first time in his short, hard life, his small love-filled hand touch those that are helping him. 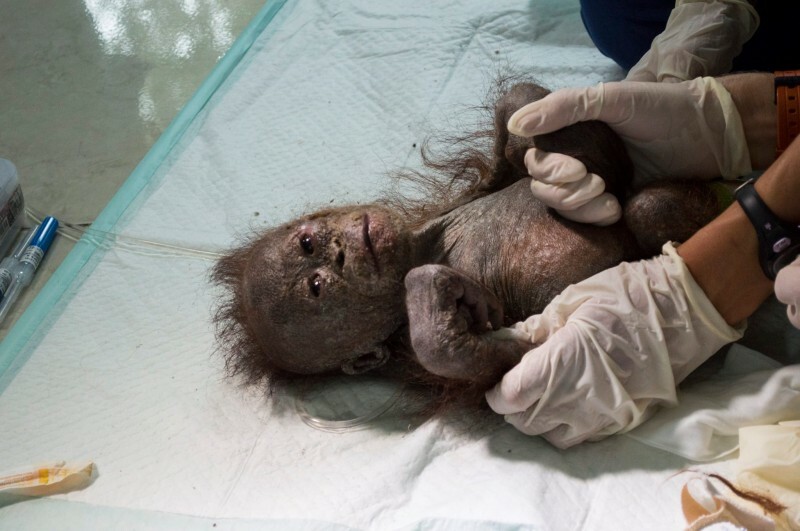 Fortunately, babies like Gito are rare cases. 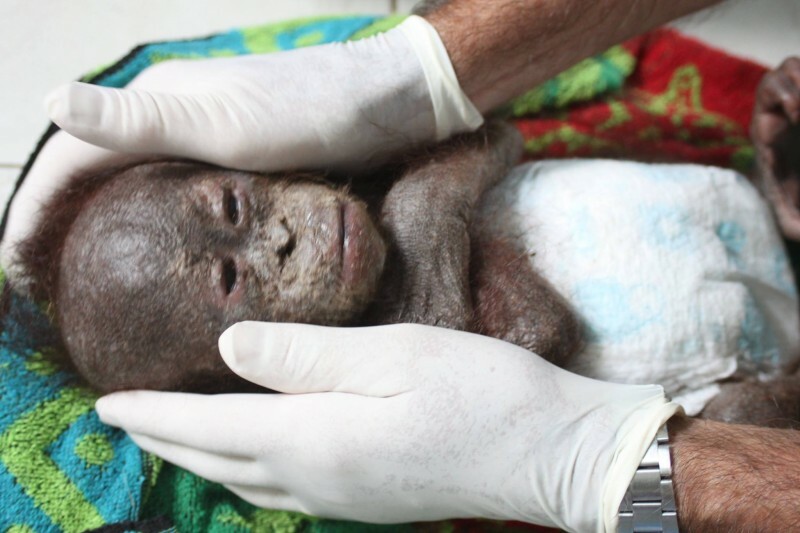 Rescue organisations worldwide report that ever increasing numbers of baby apes are being made orphans and are still being terribly mishandled. 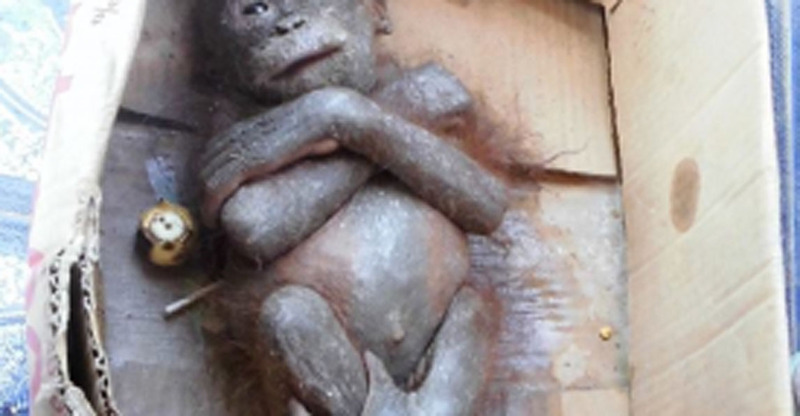 The same rescue organisation already had to free the small baby due to an emergency. The number of her kind is steadily decreasing and maybe we will soon lose these gentle giants. 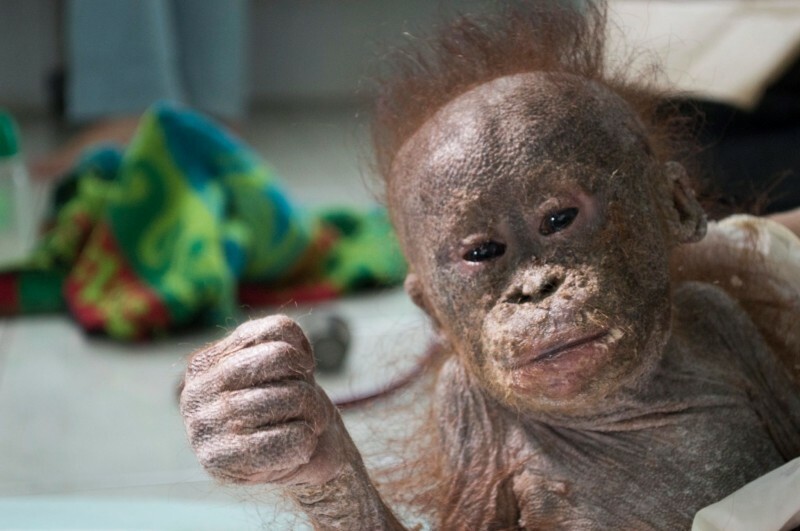 To save orangutans like Gito and countless others worldwide, something must change! Help save these wonderful animals and put a stop to animal cruelty. SHARE this story, so that everyone may learn!